Joe O’Grady began his 32 year career in Health and Social Care as a nursing auxiliary. 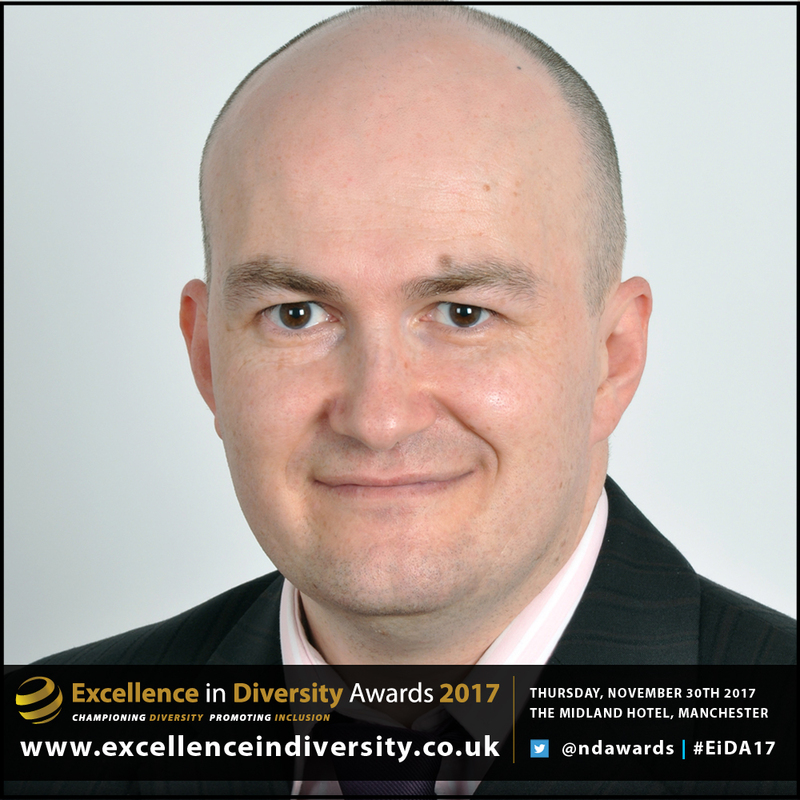 He is currently the Equality and Diversity Manager at the Countess of Chester Hospital. Joe increased recruitment of stakeholders from across the protected characteristics into equality sub groups, the equality governance framework and joint working initiatives. He implemented a robust equality analysis toolkit and recruited over 40 Equality Local Champions, who received accredited E&D training. In addition, Joe co-facilitated International Day Against Homophobia and Transphobia (IDAHOT), Chester PRIDE and other events in partnership with third sector organisations. He launched the Trust’s inaugural Carers Strategy to support Patients and Staff who are Carers. Joe has helped the Trust to achieve one of the highest equality performance ratings under both the Equality Delivery System 2 and Workforce Race Equality Standard frameworks and to meet the Accessible Information Standard, Disability Confident and NAVAJO LGBTI Charter Marks.